Description: To 12 cm long. 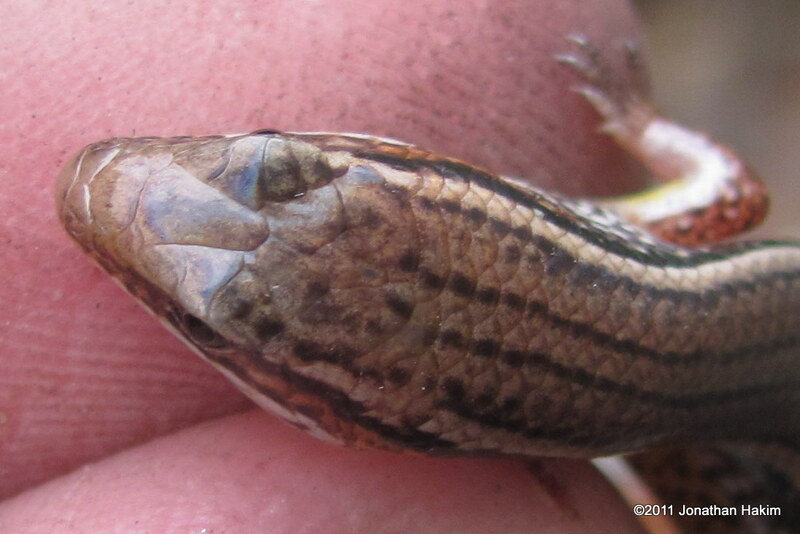 Snout to base of tail is up to 5.8 cm. 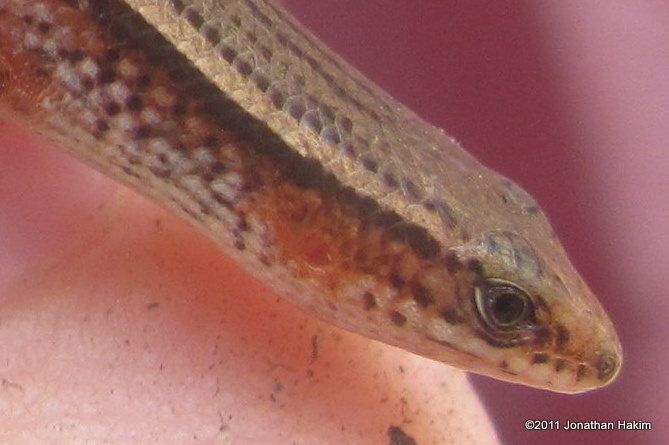 A small slender skink with small legs. Color on top of body is bronze to brown, often with indistinct dark lines. Sides are a mix of red-brown to dark-brown with white and black speckling, and often with a black line. 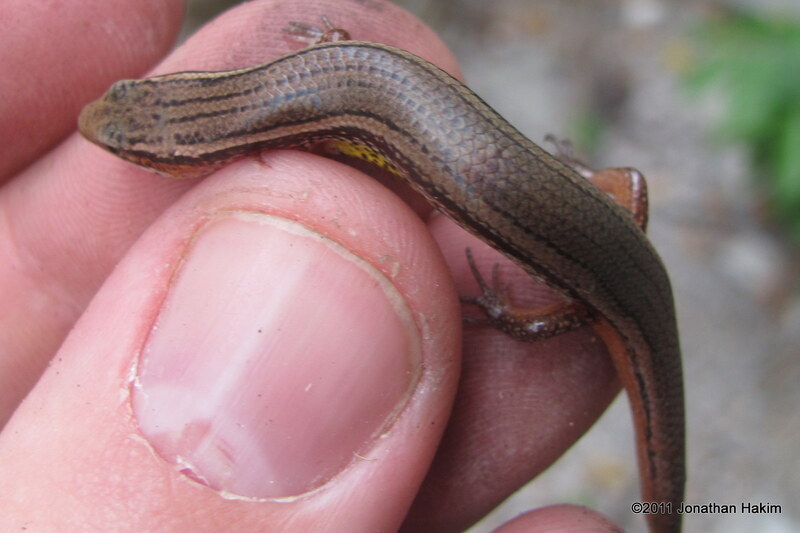 Tail is about as long as body, brown on top and reddish-brown below. Underside is light, with large yellow section between the legs during the breeding season. 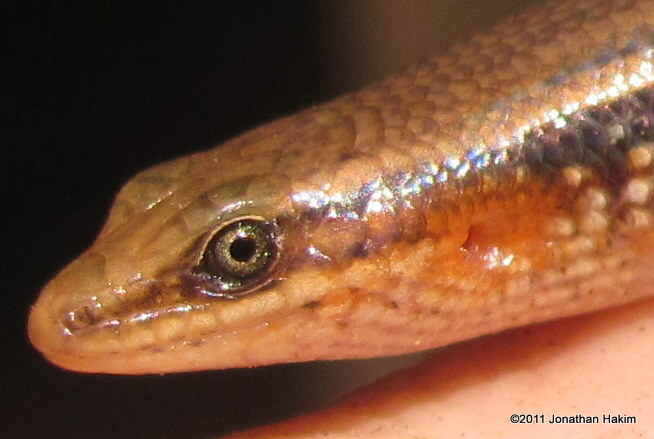 Similar Species: Short-limbed Supple Skink is more slender, has much smaller limbs, and lacks the speckling and breeding coloration. Habitat: Found in a wide variety of habitats, including forest, scrubland, plains, parks, empty lots, agricultural areas, and gardens. It is almost always under cover, such as rocks, logs, or leaf litter. Contribution to the ecosystem: Helps control insect and spider populations. 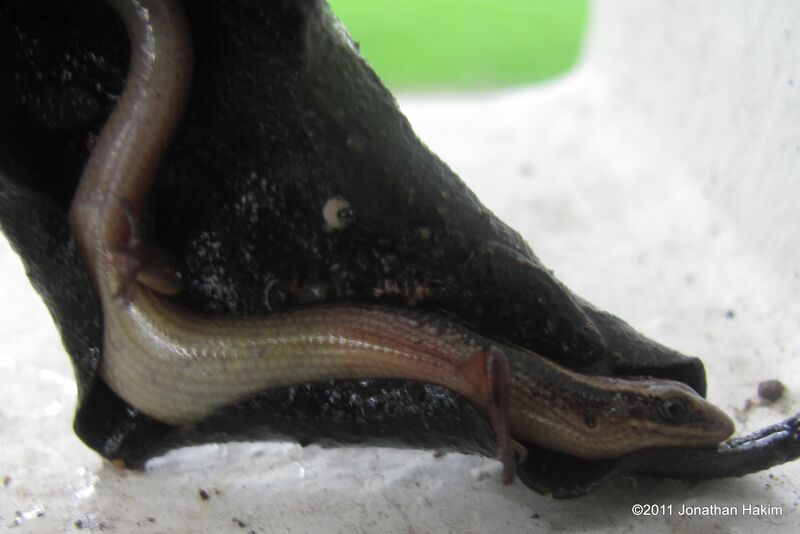 Provides food for snakes and larger lizards. 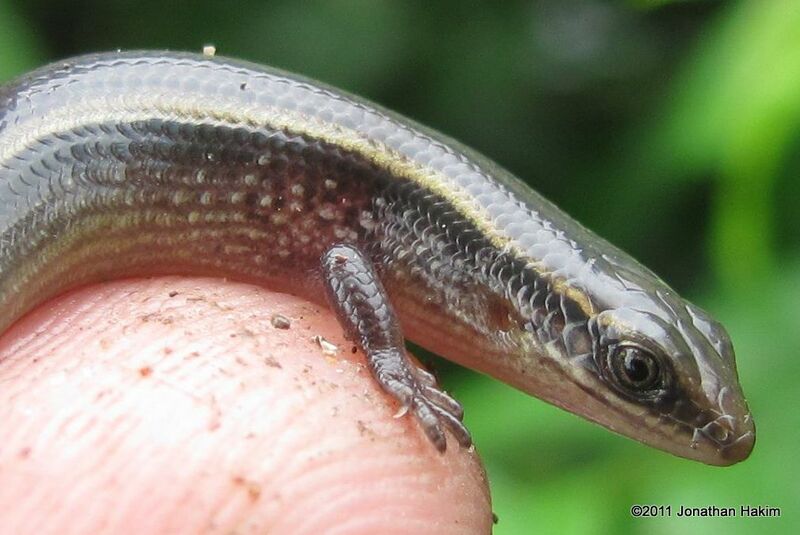 Danger to humans: This lizard is too small to bite humans and poses no danger at all. Conservation status and threats: Is a widespread and common species has no known conservation threats. Adapts very well to human-altered environments. 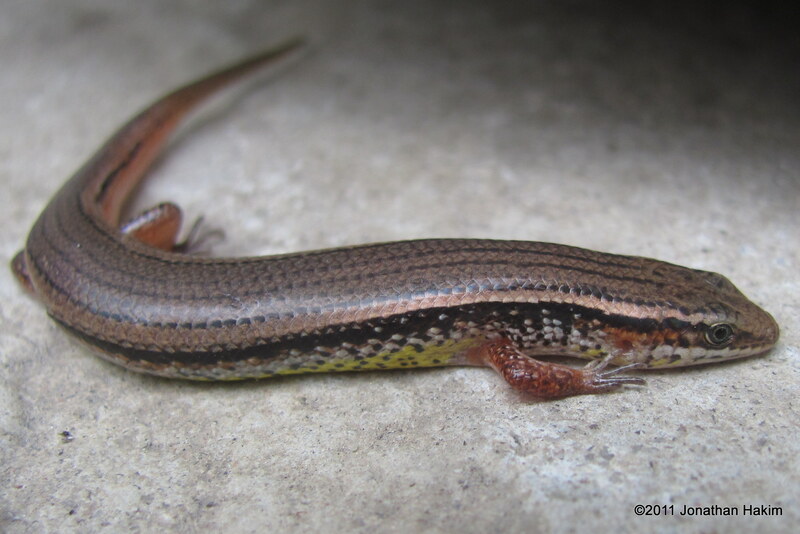 Interesting facts: This skink is one of the most common lizards in our region, but most people rarely see it. Dozens of them probably live in every empty lot and city park in Bangkok, and even in many of the yards and gardens. 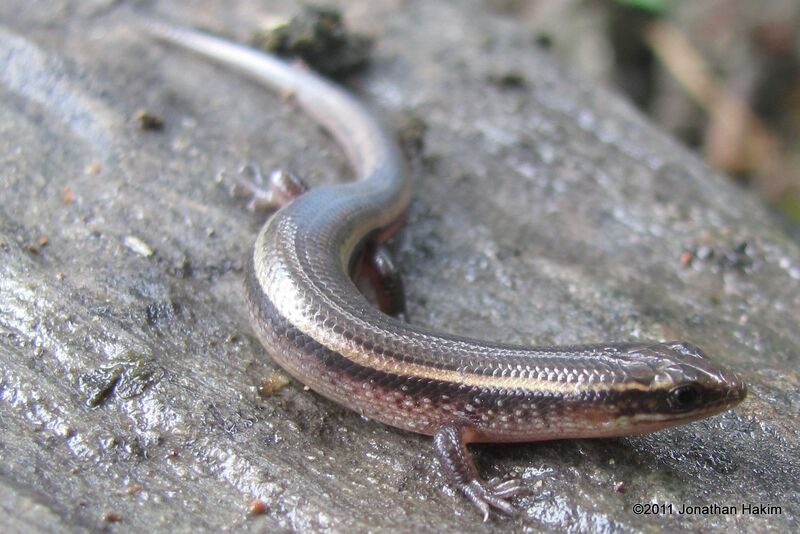 However, these tiny lizards spend most of their lives out of sight, hunting small arthropods in dirt, leaf litter, and decaying vegetation. They can occasionally be found by flipping over boards, logs, and rocks – otherwise, you might never know they were there. 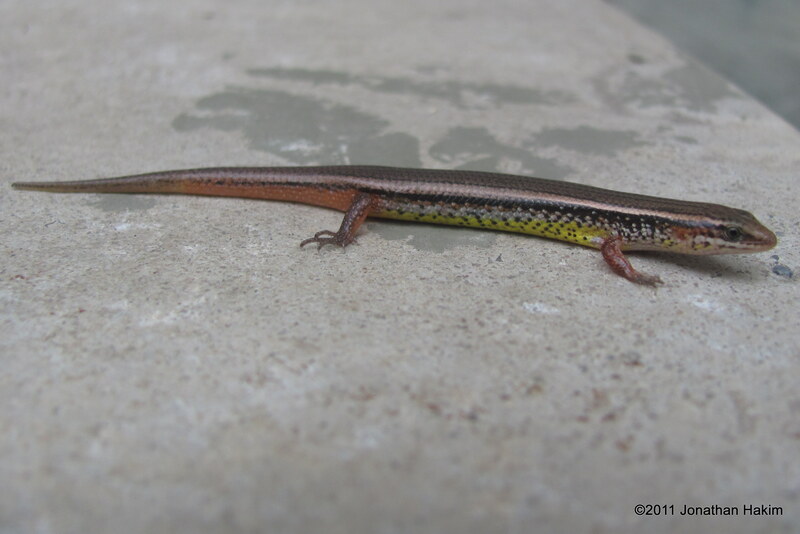 I have also found one in my house this evening.A first ,we suspected it to be a monitor lizard.But, curious of it’s skin,leg and body shape ,I had discover that it might have been a bowring’s supple skink(logysoma). There are also have been saying that this spesies were believed to be born around 113 million years ago,where there are dinosours during that time .True or not ,I don’t know ,but if any of you can give me an answer,I’ll be thankful. 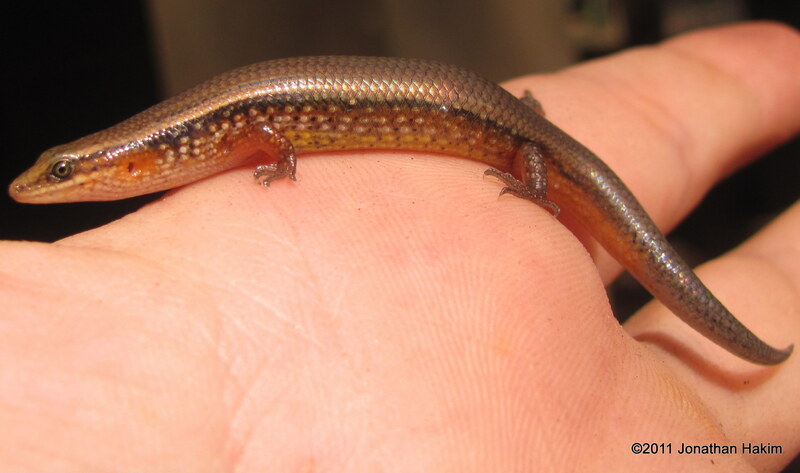 I do not know how long the “Lygosoma bowringii” species has been around, but skinks in general have been on Earth for over 100 million years.